Premier League football clubs are failing to sell season tickets to disabled fans, Paralympian Baroness Tanni Grey-Thompson has told peers. She told the House of Lords that clubs, including Manchester United, had inadequate accessible seating. The former gold medallist said clubs had enough money to make adjustments and called for seats to be converted. 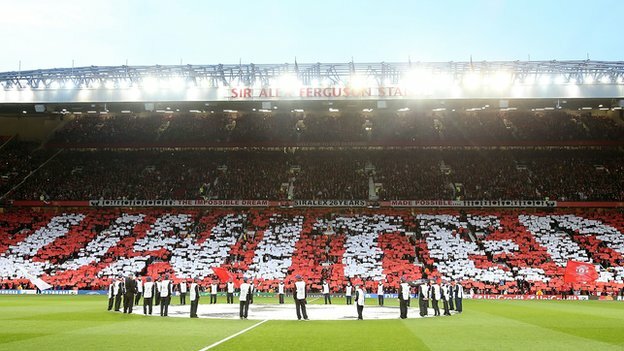 Manchester United said they made as many tickets as possible available for disabled fans. Lady Grey-Thompson, an independent crossbench peer, said: “Certain Premier League football clubs, such as Manchester United, refuse to sell season tickets to disabled supporters and they only have 42% of the accessible seating that they should. Her comments echo those of former disabilities minister Mike Penning, who said in April that the lack of facilities for disabled fans was “woeful”. Lady Grey-Thompson also told BBC Radio 4’s Today programme that Crystal Palace, Aston Villa and Tottenham Hotspur had failed to provide adequate facilities for disabled fans. Accessibility was often worse for away supporters, she added, with some forced to sit with home supporters. Chelsea had just 10 seats for visiting fans in wheelchairs at their Stamford Bridge ground, she said. Lady Grey-Thompson said nobody was willing to to take responsibility for the problem. She called for clubs to “step up” and make sure ticketing policies were “fair and equitable for disabled people” . Lord Gardiner of Kimble, speaking for the government at question time in the House of Lords, said the issue was a “fixture” at meetings between the government and clubs. Pressed on whether legislation was a possible solution, he said “no-one would rule it out” if it became necessary. But legislation could be a “blunt instrument”, he warned. A spokesman for Manchester United said: “Manchester United makes a number of season tickets available for the club’s disabled fans. “Due to the high number of requests and limited supply, any remaining allocation are then distributed on a match-by-match basis in order to allow as many disabled fans as possible the chance to attend matches at Old Trafford. A spokesman for the disability charity Scope said: “No football club should be off limits to disabled supporters or charge them more.